This is the twenty-fifth in my 30 in 30 by 30 series, wherein I undertake 30 adventures in 30 days before I turn 30 years old on Aug. 6. 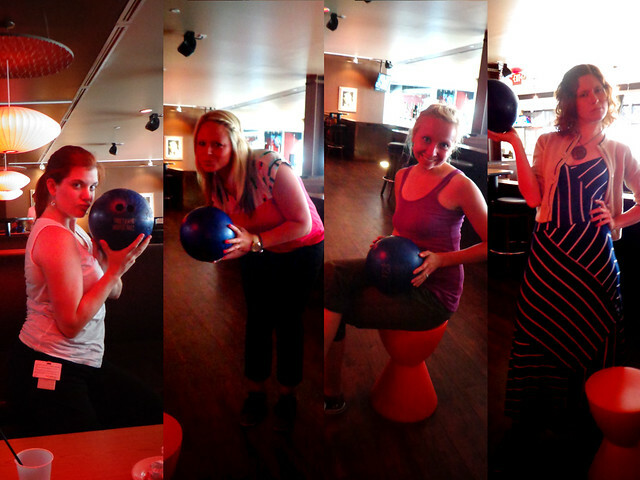 Today, I went bowling with some badass ladies. 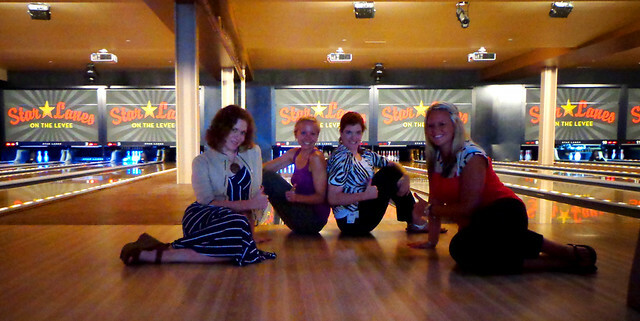 Yes, I've been bowling before. Yes, I've spend time with my rockin' cohorts before. But today was an excuse to bring together all the things that make life good: brilliant colleagues, ridiculous shoes and happy hour. It ruled, even though I came in third. Next time, Val. A note: I'm about to embark on a short trip and so will not be keeping you apprised of my adventures in real time. See you Monday, blog!